so let’s get back to talking Hanukkah. in my first post in the series I explained about the story of Hanukkah. I thought I’d touch on the symbols of Hanukkah. Since oil is what the miracle of Hanukkah is all about, all the food for Hanukkah is cooked in oil!! 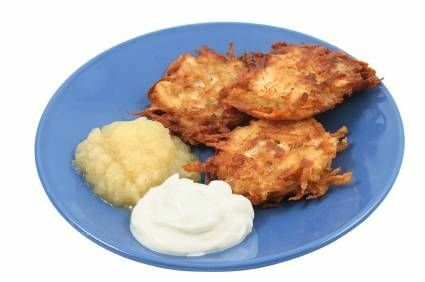 we eat potato pancakes that are called latkes. they are served with sour cream and/or apple sauce for dipping. 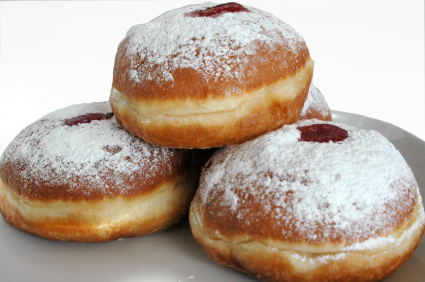 we eat soof-gan-ee-ot (Soofgayneot), also known as jelly donuts for everyone else. Donuts are made in oil. Every family has different traditions and my next post will talk about the traditions that my family has for Hanukkah (and i’ll probably offer some stories from my childhood, because it was always a magical time!). 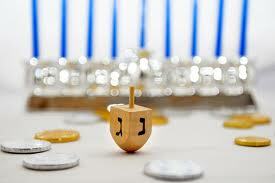 The dreidel is the spinning top. 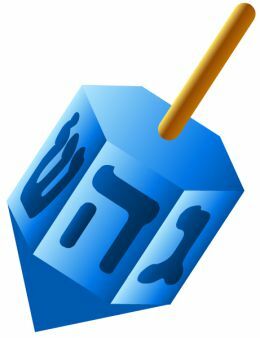 There are 4 Hebrew letters on the Dreidel, Noon, Shin, Gimmel & Hay. Which are the first letters of each word in the Hebrew sentence, “Nes Gadol Haya Sham” which means, “a beautiful miracle happened there”. In Israel the letters are off by one, and instead “a beautiful miracle happened there’, which means, happened here “po” in Hebrew. You definitely cannot forget the gelt. in ancient times that’s what the elders gave the children as their presents, of course just like with everything else, that’s become more commercialized and most families exchange presents. 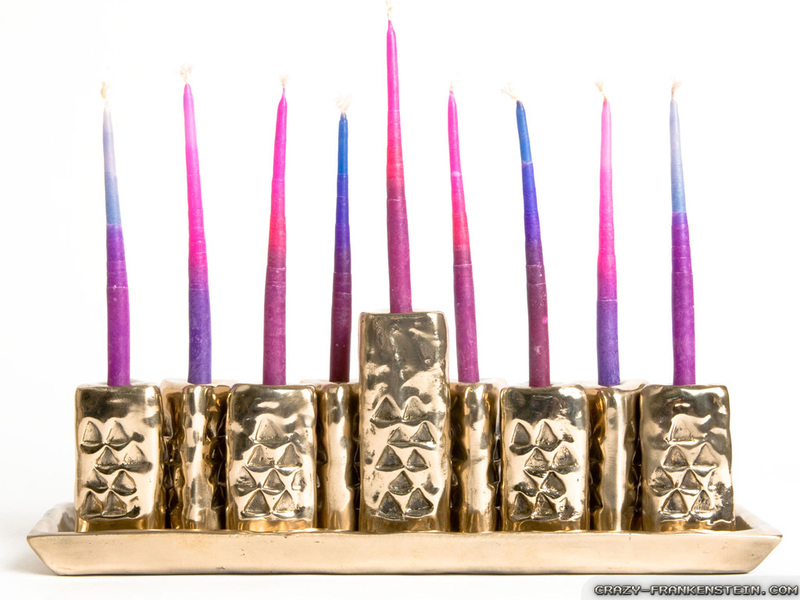 since Hanukkah is 8 nights, every family has different traditions. Some choose to give one large gift. Some give a gift each night (that’s how I grew up!) and some don’t exchange gifts, they’ve stuck with the old-fashioned tradition of exchanging gelt, which we now buy with chocolate inside, but in ancient times of course was actual money. (more on this when I get to traditions). I know I spoke about the menorah, or hanukiah in Hebrew in my first post, but I felt I needed to add it to this post too! it IS our main symbol and tool if you will for the holiday. a menorah has 9 branches, 4 on each side and one in the middle (on a traditional menorah, sometimes artsy ones will have the 9th candle in a different spot) but the 9th candle is called the Shamash, and it’s the helper candle, it’s the first candle we light and we light it every night first, and then use it to light the rest of the candles corresponding with the night. 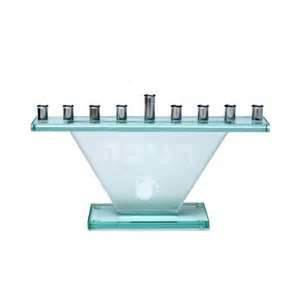 we also have a certain order in which the Hanukkah candles are put into the menorah and how they are lit. we light the shamash first, and then we light the candle for that night. so on night #5, we would light the shamash, then night 5’s candle, then night 4’s, candle, then night 3’s candle and so on. the big confusion is that we put the candles into a menorah left to right, but we light the right to left. meaning we always light the candle for THAT night first. (this is one of those confusing things that I’ve seen so often in FB pics being done incorrectly that drives me crazy, but I also don’t want to offend anyone by calling them out publicly!). 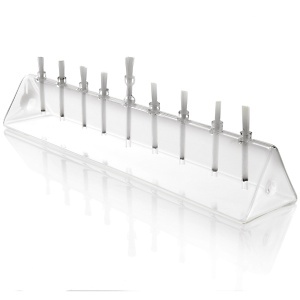 Any menorah is great, some people prefer traditional. Some prefer artsy. It’s all up to personal choice as long as they have the 8 branches and the Shamash, which one you prefer. I’ve posted some pictures of different styles on might find. Traditionally the Hanukkah candles are lit at sundown, but in today’s society it’s harder to get that accomplished, so I always grew up that we ate dinner as a family, and then each night we’d then light the candles and celebrate Hanukkah for that night. When we light the candles we say the blessings over the candles, as we light them, the first night we say 3 blessings and the rest we only say 2. Blessing 1 – English: Blessed are You, Lord our God, Ruler of the universe, who has sanctified us with Your commandments, and has commanded us to kindle the lights of Hanukkah. 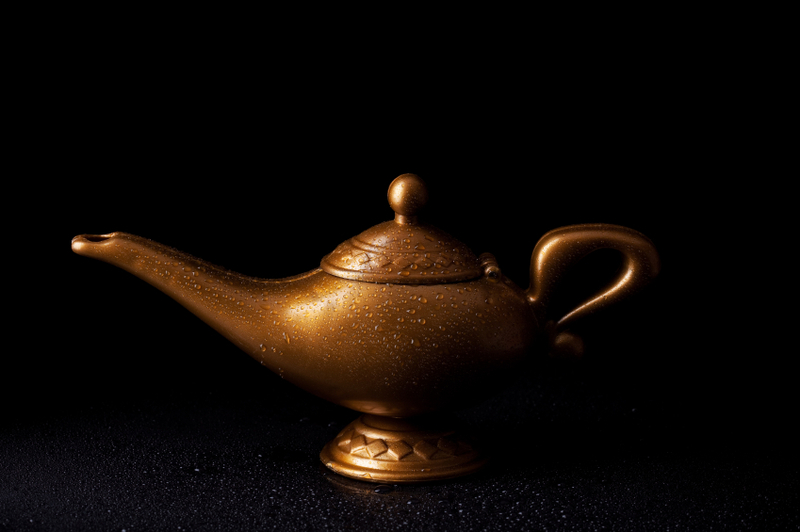 Blessing 2 – This second blessing, which asks us to remember the miracles performed for our ancestors, is also said prior to the Megillah reading on Purim. English: Blessed are you, Lord our God, Ruler of the universe, who wrought miracles for our fathers in days of old, at this season. Modern Hebrew: Baruch atah Adonai, Eloheinu Melech Ha-Olam, she-asah nissim la-avotaynu bayamim ha-hem bazman hazeh. 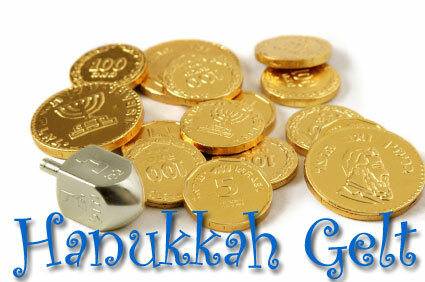 Blessing 3 – This blessing is recited only on the first time the Hanukkah menorah is lit. Called the Shehechiyanu, it is an important blessing that thanks God for sustaining us and reminds us to appreciate the goodness in our lives. Blessed are You, Lord our God, Ruler of the universe, who has kept us alive, and has preserved us, and enabled us to reach this time. Modern Hebrew: Baruch atah Adonai, Eloheinu Melech Ha-Olam, she-hekheyanu v-kiyamanu v-higgianu lazman hazeh. Followed often by a few Hanukkah songs such as “Oh Hanukkah, Oh Hanukkah” or “Dreidel, Dreidel, Dreidel”…..there are many many others, and in my family we definitely spent more time singing songs when we were little kids, than we do now, but, it’s a very fun, festive part of Hanukkah and as I stated originally, everything about the holiday is positive. it’s a celebration of a miracle and it lasts 8 whole days!!! p.s. 15 days until Hanukkah begins on December 8th!! !